As a company that focuses on the fitness industry there are many things you can do to help promote your company and/or product. One way that companies can showcase their efforts and products is by attending a fitness event! It isn’t just about a booth at a show, but about the cooperative effort to work with the fitness industry as a part of your target marketing. Yes, this means setting up a booth at the event but there are many things you can do to set yourself apart from the others. You have to know the right way to get people to your booth without you having to feel like you’re at a flea market. It can potentially be a bad thing if a company spends money on a booth and your outcome does not justify the means. Having a booth set up at a fitness event will prove to be very beneficial to your company if you go about it in the right way. When you go about setting up a booth at a fitness event there is a proper way to approach it without feeling like you are at a flea market. Nothing is more costive and counterproductive than just setting up a booth at an event, putting out your product on tables and then soliciting patrons of the fitness event. The best way to help your company go about the right way is to think of yourself when you are at a fitness event or even at a flea market. What booths draw your attention? What factor drives you to walk near a booth or into one? These are very important questions you need to ask of yourself! If you set up your booth at a fitness event you have to wonder if YOU as an individual would ever go near your booth. If you find it boring and unappealing, why would it be different for others that are attending the event? You need to make your booth one that you would be interested in. The best way to help you achieve a great booth and make attending the event beneficial is to make your booth interactive and fun. You will want to make your booth something that the patrons and potential customers can engage in! You want your booth to be something more than just handing out slices of protein bars and small cups of protein drinks. No one is going to want to voluntarily walk up to your booth and sample more bars and shakes that they have most likely passed on many booths before yours. If you make it obvious to those who are walking past that you are involved in the actual preparation of the athletes, you will then start to appeal to them! It’s easy to put out bars and drinks and claim that they are beneficial, which won’t do much to attract people to your company. But if you claim to help top athletes on their road to their successes and you have the proof to back it up, you will most definitely attract a large following. While a booth is a way to showcase a new product, that doesn’t mean that your booth can’t be fun! When you involve your company in attending a fitness event, this means that you need to involve your company all the way. No half attempts! This means that you are going to want to become interactive with the fitness federations website and social media networks and actually be a part of the athletes benefit in preparing for the show. Another great way to involve your company in the show is to involve your company in the actual 12 week preparation process of athletes. This not only puts your company name out there with athletes but when you use it for your booth now you are putting your name out there to potential customers and clients who see your booth! You should use pictures and videos in your showcase of the athletes that used your product in preparation for the event. Another way to help make your booth fun is to think of it as a mini show. You will want to have something that helps draw attention to your booth, whether that be killer music or amazing lighting. But keep in mind that you want to be cost efficient and not have anything so over the top that it sets you back. There are more benefits to having a booth at a fitness show than just showing new product! It is one of the best ways to market your company and your product. It is essential that you do not think of the event as a flea market. You want to push out all negative thoughts of having to set up a booth and dismantle at the end. Think of it in terms of putting your name out there and making your company bigger than it was before you set up your booth at the fitness event. You want your booth to not only showcase how beneficial your company is to an athlete but you also want to draw people in to the booth. Remember, you are not only promoting the products, you are also promoting the company itself. If your booth is both interactive and fun then people are going to remember your product and they will most definitely remember your company. 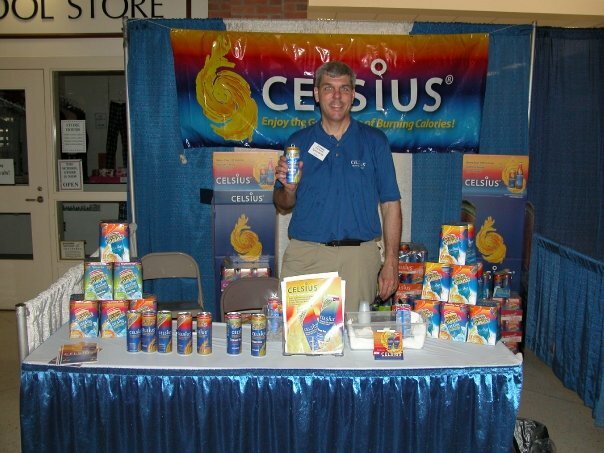 Setting up a booth at a fitness event is one of the BEST ways to promote your company and your products and help to create crucial networking relationships and execute great marketing techniques. Find out more on fitness exhibitor information Here.